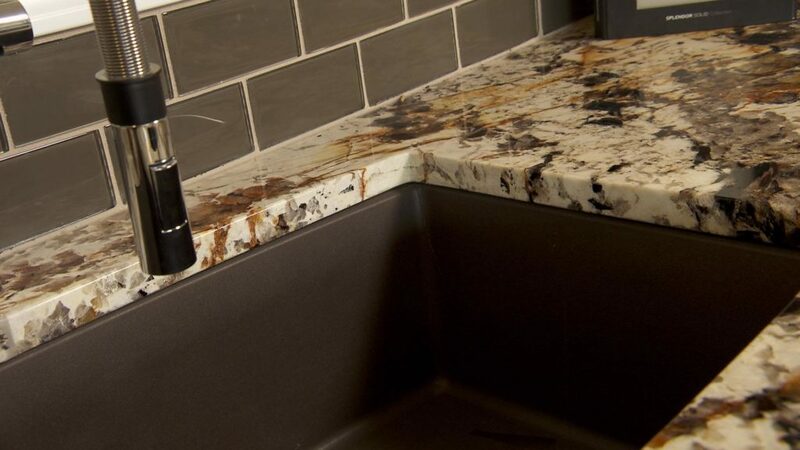 Jim Owens Flooring & Cabinets is a leading custom countertop fabricator of granite, marble, quartzite, and quartz products, including PRESTIGESTONE, Cambria, and other natural stone. By fabricating our own countertops, we’re able to offer endless possibilities with many custom options for your own personal style. 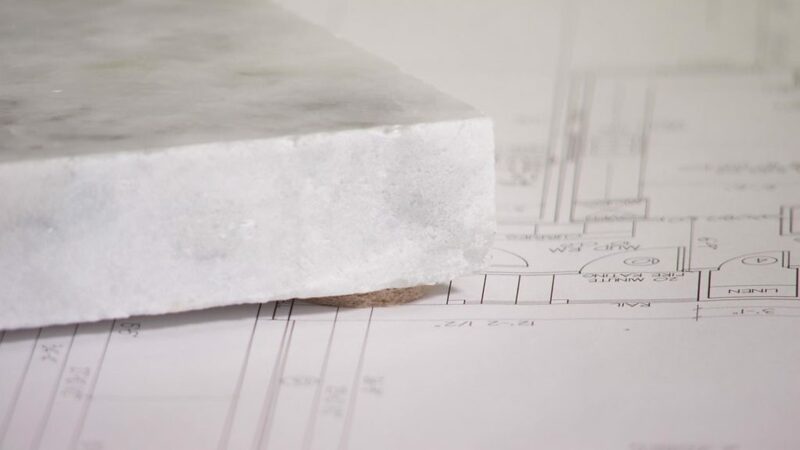 Our team of design professionals and expert fabricators can assist you in selecting the stone that will be the best fit for your home or office. After fabrication, we’ll install your countertop in your home or office, with great care and precision. We’ll treat your space as if it were our own, as we turn your countertop dreams into reality. Stop in today and talk to the countertop experts at Jim Owens Flooring and Cabinets. We proudly serve Greater New Orleans with locations in Metairie and Mandeville! Granite is a dense, durable stone used in most kitchens and baths. It is resistant to scratching, but it is not a “scratch-proof” product. Each piece of granite varies in denseness and scratch resistance. It is quarried all over the globe, but most granite imported into the U.S. comes from India, Brazil, China, or Italy. Although granite is resistant to staining, it is required to seal granite as needed. In kitchen applications, granite is also resistant to heat. Hot pots and pans are never an issue for this product. With many colors and styles to choose from, granite is the most commonly used stone for a countertop application. Marble is commonly known as a beautiful and luxurious stone, used in most bathrooms and kitchens. Where granite is resistant to scratching, marble is quite the opposite. Marble is a porous product, making it more susceptible to scratching and staining. Additionally, the minerals in marble are easily affected by chemicals in many food products, including lemons and limes. Marble requires regular sealing in order to prevent etching and staining. Marble is also known for its veining, seen regularly in products such as Bianco Rhino or White Carrera. With the proper care and maintenance, marble is an ideal product for any kitchen or bath! Nothing compares to the beauty of natural stone, but when it comes to style and durability, quartz products are the pinnacle of stone performance. Most of these products are made of 93% quartz and 7% resin, creating a low maintenance, stain-free countertop. Whether you’re looking for that classic stone look, or a modern contemporary look, quartz products have a huge selection of colors to choose from. Through our many distributors, we can supply quartz products from Caesarstone, Vicostone, Silestone, Cambria, and Prestige. Quartzite is quickly becoming the gold standard for those who want a tough, reliable kitchen countertop that not only looks amazing, but can also withstand a lot of abuse. Quartzite provides the look of marble or dolomite, and the hardness of granite. In fact, quartzite is harder than granite and some types are relatively non-porous.